An exciting new adventure cruise has sailed into Keppel Bay. 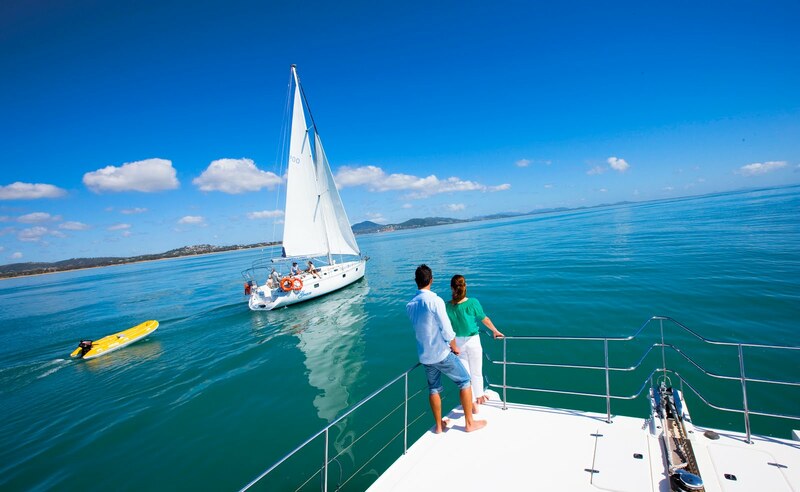 Sail Capricornia are launching a three day cruise filled with sailing, snorkelling, swimming, exploring or just chillin' on board Capricorn's own luxury sailboat 'Grace'. This maiden adventure voyage is due to set sail on July 21 and will compliment Sail Capricornia's existing Full Day and Sunset cruises. Owners and skippers of Sail Capricornia, Anthony and Vicki Lomasney said, "The cruise will spend two evenings at the Great Keppel Island Holiday Village with all food and equipment supplied, and with such stunning weather there are so many reasons to climb aboard and experience the blue skies, clear waters and white sands of the Capricorn Coast. CEO of Capricorn Enterprise, Mary Carroll said, "The Keppel Islands are one of our regions greatest assets and this new 3 day cruise will certainly showcase the best they have to offer. Grace is a beautiful vessel and I would encourage both visitors and locals alike to make the time to experience this stunning cruise". Keppel Bay is located off the Capricorn Coast, Queensland, and is 640km North of Brisbane. Flights fly direct to Rockhampton from Brisbane, Sydney and Townsville.